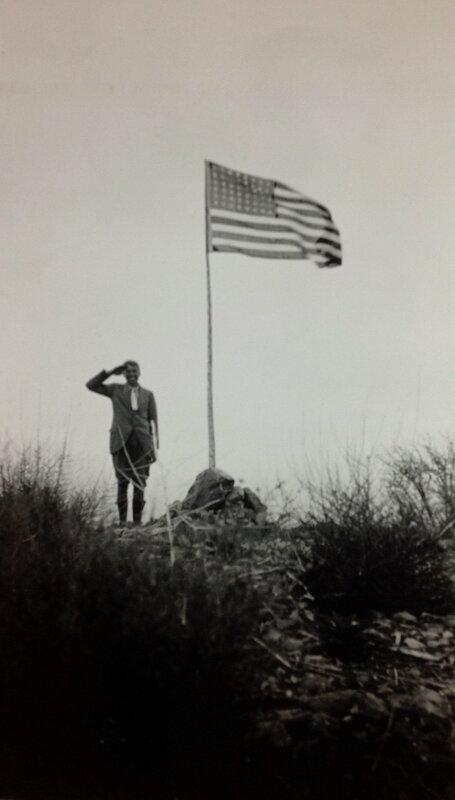 "There never were any finer people since Noah came out of the Ark" wrote Gifford Pinchot to Ranger H.J. Tompkins. Gifford Pinchot frequently attested to the valor of the early forest officers. The record indicates that he probably interviewed each one, and hired them based on their character and sense of duty to the early objectives of the agency--forest restoration and protection of the watershed. Pinchot's response to each and every narrative was a testimony to his own attentiveness and generosity, confirming that each man or woman who served had made a significant contribution to the organization and to the American people. In his letter to Pinchot, Ranger Tompkins politely apologizes for a tardy response and then launches into his alibi: "I had the misfortune to have a car fall on the back of my head (while working under it) and about the time your letter came I was leaving for the East for surgical treatment. Then I went to Portland, Oregon, (not wishing to slight any part of our great nation) and have just returned from there. I may expect plenty of "fun" for five or six weeks and then if everything goes o.k., be very nearly as good as new. If that is not too late I shall be more than pleased to start writing an account of my days with the Service. In so doing, however, it will be necessary that I depend entirely on recollections since my diaries from those days were lost when my trunk was stolen from storage in Somerville, Texas; shortly after I left the Service. I would have no difficulty remembering most of the men I worked with and in general what went on but cannot be exact as to dates. I can well recall that I began February 1, 1901 at Washington, D.C. went that summer to Tennessee with a party led by Fritz Olmsted; the next summer under Bill Hodge, and that fall to Texas under Tom Sherrard, etc. My brother, Harry, always said that it was wrong to withhold sincere admiration since everyone needed a little "bucking up" in life. Acting on that impulse, I must say that I have followed your career with much interest. I was pleased when you attained the Governorship of Pennsylvania and disappointed when it did not develop into an even higher honor. This I do know--that your splendid example of honesty and devotion to duty was an inspiration to scores of men who worked under you, and I have always been very proud of the fact that you were my chief for several years and that we were really friends." 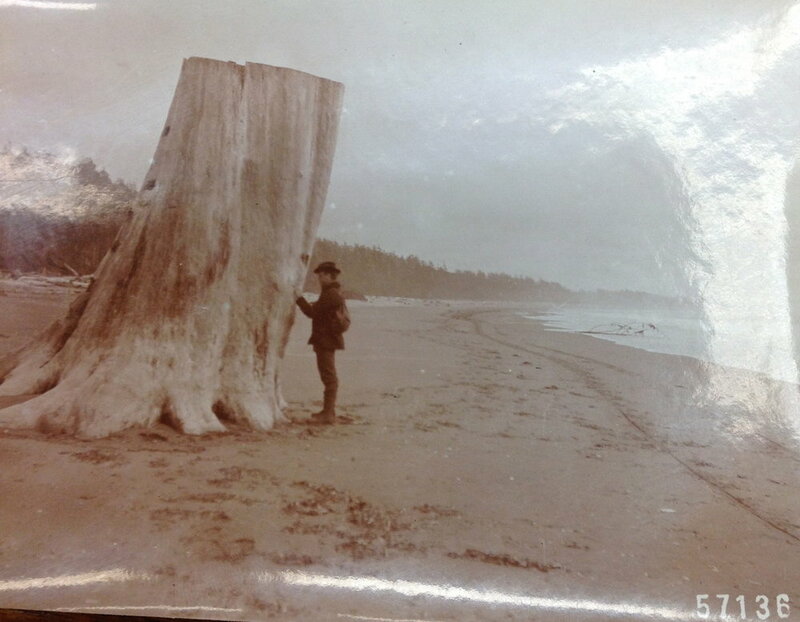 "Ranger Franklin Reed, Coast of Washington Near Quinalt River." From the narrative of H.J. Tompkins. Old Timers Collection, Gifford Pinchot Collection. Library of Congress Manuscript Division. "Sierra National Forest North Fork. Planting Sugar Pine Seedlings (Long root). Chester Jordan, (left). Hale Mace (right)." "About 1925. Forest Service weather station Sister Elsie Peak. Ele. 5,000 Ft. Angeles Forest. Calif. Thermograph and Marvin Glock Rain Gage. Serviced weekly. Seven mile foot trail. Instrument shelter only. Observer exposed for the whole fourteen miles including servicing then a tent which blew away. Another tent burned. Then a 7' x7' wood cabin. Now a modern shelter with excellent instruments. 1916-1937. H.J. Tompkins. In his 1937 call for narratives, Gifford Pinchot implored the Old Timers to send him "anecdotes," remembrances that might serve to illuminate the past and fill in the gaps of the historical record. Over and over, Pinchot received more than he could have imagined. The narrative of J.B. Lippincott, for example, sent to Pinchot in January of 1938, was particularly poignant. Pinchot wrote, "I have read with keenest interest the two incidents you have so graphically described, and I am particularly delighted to have them. The details of both had gone out of my head, although the general outline was clear in my memory." Lippincott, a U.S. Geological Survey hydrographer stationed in California from 1900-1903, sent a two-page narrative in which he recalled being present in the Oval Office at a decisive moment. 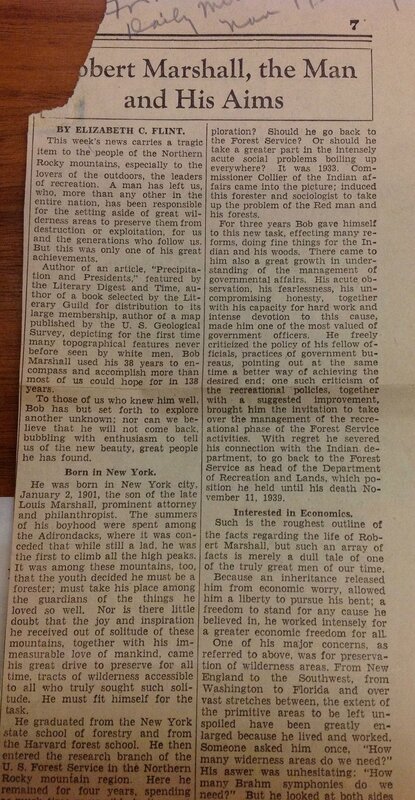 In 1903, he recalled President Theodore Roosevelt turning to Chief Forester Gifford Pinchot. "Gifford, is this all right?" asked the President. Pinchot replied that it was. "It" was the decision to grant rights-of-way for water storage sites on public lands in the Hetch Hetchy Valley, at Lake Eleanor, and for power canal rights-of-way down Cherry Creek (the outlet of Lake Eleanor) and in the main canyon of the Tuolomne River below the Hetch Hetchy dam site. These rights-of-way provided a much-needed new water source for the city of San Francisco. While subsequent generations debated and continue to debate, and mourn, the flooding of the Hetch Hetchy, we learn from Lippincott's "anecdote" that by 1903, San Francisco had already outgrown its water supply and was seeking an additional new source "adequate in quantity and quality" to meet public demand. Lippincott wrote: "The city was then being served by a private water company which naturally did not favor bringing in a new and superior water supply. Their opposition was by the indirect process of stimulating protests of "Nature Lovers" to the "desecration" of the Forest Reserve for utilitarian purposes." There is rarely a dull moment in the Old Timer narratives. J.B. Lippincott describes President Theodore Roosevelt's reaction to First Forester Pinchot's approval of the memorandum that provided a new domestic water supply for the city of San Francisco with an outlet at Cherry Creek: "It is all right with me," said the President, "except there are two r's in Cherry." We might not be surprised to learn that California, Arizona, and North Carolina are the largest water consumers. However, it might be just as interesting to know which states' aquifers are most contaminated by industrial pollutants, pesticides, fertilizers, and other types and quantity of runoff. Please check out the link below to learn more about where and how water is being used. Gifford Pinchot and The Old Timers were dedicated to conservation of our natural resources so that future generations could live long and healthy lives. They thank you in advance! Thoughtful comments are appreciated. "...Vision, progressiveness, and scientific spirit." 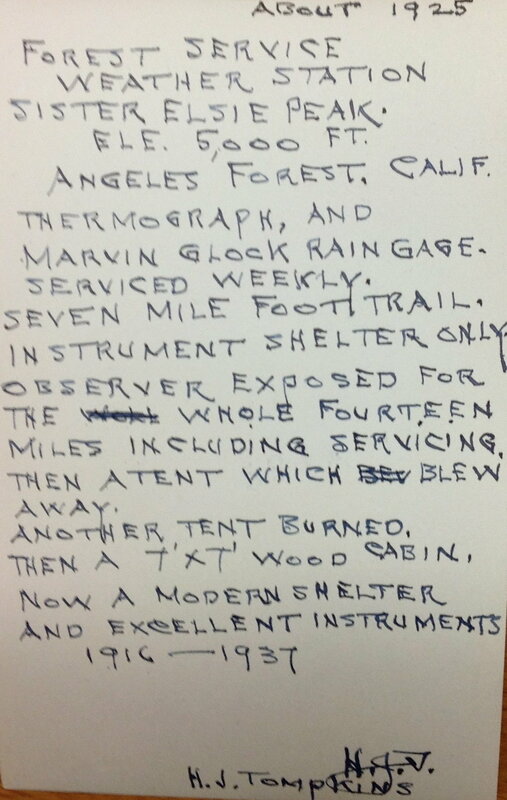 The testimonial of Thornton T. Munger in "My connection with the early days of Forestry." "First Forest Service Nursery in District 6 located on the Columbia National Forest at Wind River. I assisted Mr. Miner for one season in 1914 at this nursery." Photo from the narrative of Albert K. Weisendanger, Mt. Hood National Forest. In his 18-page narrative narrative sent to Gifford Pinchot from Portland, Oregon in the fall of 1940, Thornton T. Munger described himself as a "one-man research section" and a "one-man silvics section" sent to tackle various jobs in the field and forest. 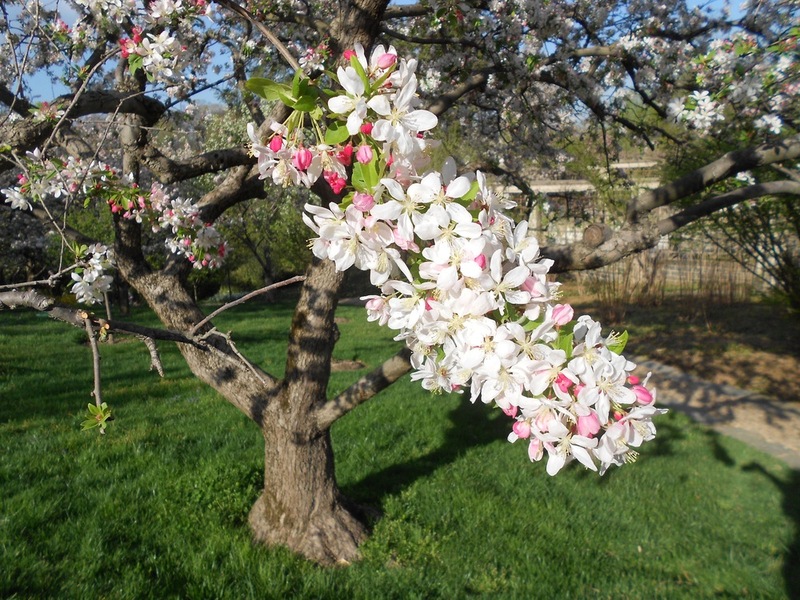 The work of the Old Timers required a pioneering spirit with a willingness to experiment, particularly when it came to the planting of various tree species. "The first suggestion that I should choose forestry as a profession came to me from my sister Eleanor (Mrs. Philip P. Wells) when I was a freshman in Yale College. She said, 'Why don't you take up this new thing, forestry, that Gifford Pinchot is starting. You like the out-of-doors and he says the country needs foresters and it is a fine life for a young man.' The Yale Forest School, founded by the Pinchot family the year before, was only a few blocks from my home. It was attracting much attention as a new field of activity and with a natural bent towards studying and collecting flowers, and a love of the outdoor life it was natural that I should take her suggestion to heart." Munger's life story is representative of many young men gifted with an opportunity to serve. In the summer of 1902, Munger attended an 8-week course in forestry held at the Yale Forest School in Milford, Pennsylvania. After a summer of field excursions and lectures by experts such as Pinchot, Overton Price, and the landscape architect Frederick Law Olmsted, Munger applied for a position with the Bureau of Forestry to make a study of white birch and poplar in Maine. Salary: $25 a month. Munger wrote: "I counted rings, made stem analyses, learned woodsmanship under our French Canadian ax man, and got my first real taste of primitive life in the Maine wilderness and liked it." Like many of the Old Timers, Munger crisscrossed the country in his youth, traveling from Maine to Milford, from Milford to Alabama and on to the Pacific Northwest. Reflecting on his early training at Yale Forest School, Munger wrote: "In the two years of the forest school hours were forgotten," he wrote Pinchot. "There was keen zest to learn all about this new field. The call of the country for service and the lure of the West whetted our enthusiasm. Employment on graduation seemed assured." As Pinchot read Munger's letter, he drew a vertical pencil line on the right-hand side of the text next to points where Munger made him smile: "It is evidence of the vision, progressiveness, and scientific spirit of the Forest Service that even under the pressure to take over the administration of a tremendous acreage of almost unknown and undeveloped public forests with a ridiculously small crew of very young men, research was not neglected....the courage of the Forest Service and of its young personnel in tackling jobs of all magnitudes and degrees of complexity is quite amazing. And it is still more amazing that throughout the Service most jobs were accomplished acceptably." Munger's narrative describes a major project assigned to him in 1908, the study of growth and yield of Douglas Fir. "Nothing was known about this most important species," he wrote. "No volume tables were available, the location suitable for study had to be ferreted out....we scoured the region (of Oregon and Washington) on horseback, in wagons, on logging trains, but mostly on foot, hunting for even-aged immature stands suitable for our mensurational work. We felled trees for tree analyses and measured sample acres in stands of various ages all day and worked on our notes in the evening--or sometimes when we were camping fished for a mess of trout. We moved often and boarded at farmhouses, logging camps or country hotels, frequently putting up our tent when sleeping quarters were not available inside. A walk of three or four miles to work was thought nothing of, and 25 miles a day were not unusual when I was scouting." Munger's work on the Oregon National Forest, (now the Mt. Hood National Forest), consisted of experiments in "direct seeding" at a time when there was no significant quantity of nursery stock available. After a day's trip from Portland by train, stage, and horseback, and making camp in a one room log cabin near the planting site, it began to snow. But nothing stopped Munger. "The local forest officers and I set to work planting our seed in spots, but the snow soon got too deep for that and and we hurriedly broadcasted the pine, maple, and chestnut seeds we had left, packed up, and left before we were trapped in there by too deep snows, and it was late at night before we got to a cabin and pasture below the snow line and in the rain belt." Another trip Munger described was to the Wind River nursery, (pictured above, then on the Columbia National Forest and now on the re-named Gifford Pinchot National Forest), where he studied forest yield and reproduction on "the logged-off land of one of the first, if not the first, national forest timber sale of any consequence in the Douglas fir region." "The condition of the Nebraska Sand Hill Country as we found it in 1901. Over grazing the range was a concern at that time. Charles A. Scott." From the narrative of Charles A. Scott. Old Timers Collection. Gifford Pinchot Collection. Library of Congress. Manuscript Division. Who would have guessed that one of the largest, most innovative tree planting projects ever undertaken began in the year 1902 with young forest professionals employed by the US Government? Buried in the Old Timers Collection, we find the who, what, where. when, how and why such a massive reforestation effort was envisioned! One of the Old Timers who responded to Gifford Pinchot's call for narratives was Charles A. Scott, (1875-1961), a native of Westmoreland, Kansas. He recounts his efforts in a series of documents written in 1951 (and housed in the Nebraska State Historical Society, nshs.web@nebraska.gov.). His and his colleagues' efforts are also described in detail in the narrative he sent to then-retired Chief Forester Gifford Pinchot housed in the Pinchot Collection at the Library of Congress. In the summer and fall of 1901, Scott worked as a cook on the Nebraska Sandhills Reconnaissance Survey as part of the Bureau of Forestry, U.S. Department of Agriculture. During the following summer of 1902, he assisted in a survey of the Dismal River Forest Reserve after which he helped plan Nebraska's Halsey Nursery, also known as the Bessey Nursery after University of Nebraska Botany Professor Charles A. Bessey. Following his work in designing and implementing plans for the first government nursery in the United States, Scott set off for the Yale School of Forestry where he earned his degree. As a newly minted Forest Assistant, he then returned to Nebraska to oversee the nursery at Halsey he had helped plan. He also administered three Nebraska forest reservations. There is no underestimating the amount of innovation and stamina such a project required. In his account, Scott writes: "This was the first project of its kind ever attempted in the United States. No one in the Bureau of Forestry could advise us and the Commercial Nurserymen of the country had no experience with this type of work and we were told we would have to use our own judgement and do the best we could." I have just finished reading your very interesting account of your early work in establishing the first Government forest nursery in America and making the planting on the Nebraska National Forests a success. The detail is particularly valuable, and I am very much in your debt. Hearty thanks to you. Cornelia Pinchot at the Dedication of the Gifford Pinchot National Forest. Photo Courtesy of the Gerald Williams Collection, Oregon State University. scarc.library.oregonstate.edu/coll/williamsg/index.html. In a stirring speech delivered on October 15, 1949 at the naming of the Gifford Pinchot National Forest in Washington State, Cornelia Pinchot, the wife of Gifford Pinchot, recalled and hailed the "Old Timers," the first class of forest professionals Gifford Pinchot had trained between the years 1905-1909. "I want to digress here a minute," she said, "to take the opportunity of bearing witness of how deeply Gifford Pinchot felt always about the debt he owed to the men of the Forest Service. Over and over again he said that to them, to the old timers, belonged the real credit for what had been accomplished. Never before or since, he said, had such high morale, such devotion to the public good, such creative ability been demonstrated in any government body. It was a three-way cooperation enterprise—the foresters at one end, the American people at the other, Gifford Pinchot in the middle." "Conservation to Gifford Pinchot was never a vague, fuzzy aspiration. It was concrete, exact, dynamic. The application of science and technology to our material economy for the purpose of enhancing and elevating the life of the individual. The very stuff of which democracy is made. The conservation he preached dealt not only with trees—it dealt with the sheep herders and the homesteaders whose means of livelihood in the forest depended upon the kind of protection that was given them. It dealt not only with erosion and flood control, but with the wise use of the land, with the development of the great river valleys in terms of irrigation and power, such as you are so magnificently working out with your Grand Coulee and Bonneville dams. It dealt with research, with programs of improvement of country life, with electrification of farms, with rural education. It dealt with equality of opportunity, with control of monopoly. The list is a long one. Most important, it dealt with conservation of natural resources as an international problem affecting issues of permanent peace. To Pinchot, you see, man himself is a natural resource. The basic resource for whose material, moral and spiritual welfare the Conservation doctrine is invoked. Man, without whose energy, the energy of coal and oil of electricity, yes of atomic science itself, is inert and meaningless." For more on Cornelia Pinchot's remarkable speech containing insights into her husband's lifelong dedication to forestry, conservation and the men and women of the early Forest Service, please stay tuned for upcoming editions of "Gifford Pinchot and the Old Timers." Long live the Old Timers! Rand Aldo Leopold, often referred to as the father of wildlife conservation, was one of the first forest rangers to whom Gifford Pinchot sent a request for narratives. On January 4, 1940, Leopold responded to Pinchot that he would be pleased to send an account of his work with the Forest Service but that his contribution would likely be "on the critical side." Leopold served from 1909-1933 in Arizona, New Mexico and Wisconsin. He went on to become the author of "A Sand County Almanac," arguably one of the best-loved classics of American environmental literature. He was thought of as a "prophet" by the author Wallace Stegner. In his January, 1940 letter to Gifford Pinchot, Leopold praised his Old Chief's call for narratives but thought "...a generation or two must elapse before its value can be truly weighed by anyone." For more on the correspondence between Aldo Leopold and Gifford Pinchot, please see "Gifford Pinchot and the Old Timers," page 145-149.